Brimming with festive carols and lightly seasoned with beautiful new Christmas songs, this 35-minute carol cantata captures the many colors of Christmas. From the hushed opening to the exuberant conclusion, Nativity Suites offers rich and well-crafted musical settings. 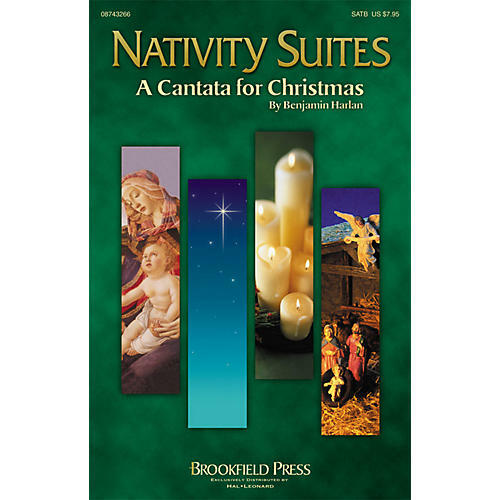 Perform each Suite separately during Advent and Christmas, or together as the centerpiece of a Christmas or hanging of the greens service.Available separately: SATB, Instrumental Pak (Score and Parts for Chamber or Full Orchestra), ChoirTrax CD, Preview CD, CD 10-Pak and Preview Pak.